"... imaginative and original; the author has taken an odd and beautiful concept and expanded upon it in a daring and beautiful way. The story has a nice dramatic arc, and the final image was oddly moving, satisfying. The story has real heart, and the author seems willing to go into strange territories. The story reminds me of the work of Steven Millhauser, Aimee Bender, or Ben Marcus: using fantastic elements to get at very real emotional material. Promising and exciting work." 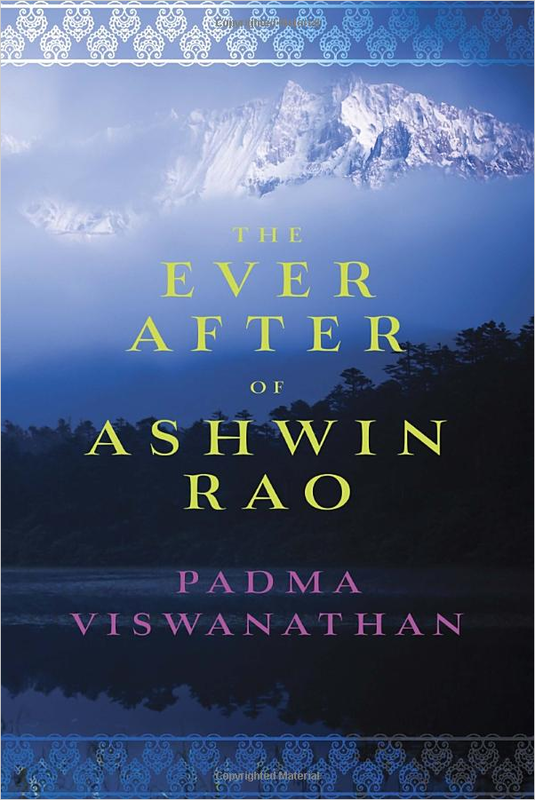 The Ever After Of Ashwin Rao which is Padma Viswanathan's second novel, launched this weekend. This fascinating read about facing ones own grief and loss centers around Ashwin Rao, an Indian psychologist who returns to Canada to do "a study of comparative grief" interviewing people who lost loved ones in the 1985 Air India bombing. 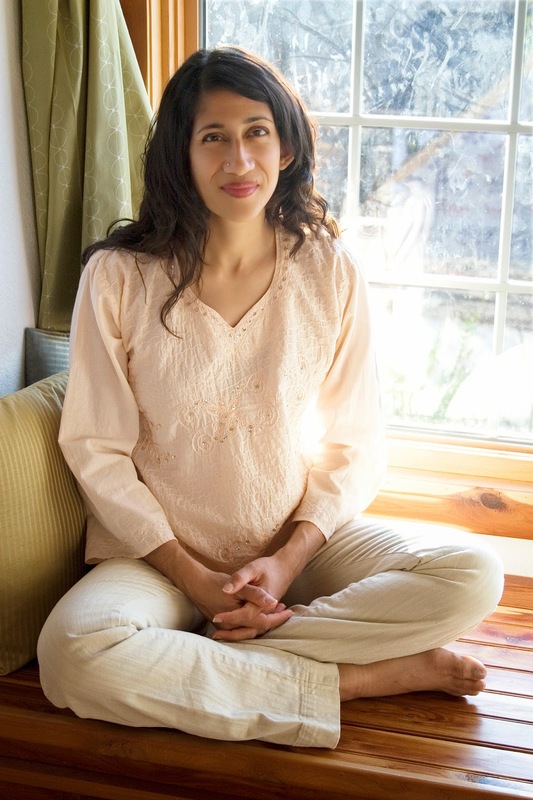 Padma Viswanathan, a fiction writer, playwright and journalist, from Edmonton Canada, now lives with her husband and two children in Fayetteville, Arkansas. She was generous enough to take time out of her hectic book launch schedule to answer a few questions for Suprose. Both your books are very different in nature… The first one is a more magical, traditional plot, a sweeping family saga. Tell us about your second novel? The Ever After of Ashwin Rao is a story within a story. Ashwin Rao is the narrator, a Canadian-trained Indian psychologist who returns to Canada in 2003 for the Air India bombing trial, but then realizes he’s far less interested in the bombers’ fate than in the victim families’. How have they fared in the long years since the 1985 bombing? He discovers that there has been no in-depth study of their lives, and so he undertakes to do one himself. What he fails to reveal to the families, for reasons he himself doesn’t fully understand, is that he, too, was bereaved in the bombing, and that his own personal and emotional life ground to a halt as a result. Then he becomes embroiled in the lives of one family, the Sethuratnams. As he becomes intimate with them, a receiver for their secrets and a conduit for their stories, Ashwin is made to reveal his own strange history. How different was it for you writing your first novel and your second one? I felt both very free and very ignorant when I began the writing of my first novel, I learned a great deal, both about novels and about myself as a writer, that I applied in writing my second book. But it was also very important to me, as I began it, to allow myself the freedoms I enjoyed the first time around—to fail, to be unselfconscious, to dare in a way that I did not realize constituted daring, and to believe anything could be represented, that all of life could be evoked on the page. It was harder, because my standards had risen and because I now had a readership with expectations. But it was the only way for me to feel I was writing with integrity, to make sure I could stand behind my book, regardless of its reception. You spent a lot of time in India researching The Toss of A Lemon. What kind of research did you do for your second novel? While I read all available writing about the bombing before I started writing, little of my initial writing needed much research. Seth and Venkat are invented, but bear various resemblances to men I grew up with, and the novel takes place in contemporary Canada. I based the town where they live, Lohikarma, on the town where I was born: Nelson, BC. I went back there, after having worked on the novel for several years, to solidify my sense of that place as a character in the book. I also read on narrative therapy as a branch of psychological practice, to bolster my understanding of Ashwin’s working methods; on physics, because Seth is a physics professor and sees the world through that lens; and on devotion to various gurus. But the aspect of the novel on which I spent the greatest research time was the historical context for the bombing. The disaster was one link on a long chain of acts of public violence. To try to represent these on the page, accurately but from Ashwin’s point-of-view, took an enormous amount of reading and thinking and winnowing and rewriting. Ashwin is present at several of the worst incidents that precede and follow the bombing; and there are many others that I have him talk about. The struggle to make these live in a compelling way on the page, without being sensationalistic, was probably the hardest part of writing the book. How do you normally do your research, while writing your book, or prior to working on the manuscript? For my first novel, I did several years of research and then began. I paused for a second major research phase after much of the book was drafted, in order to answer a number of specific questions. For the second one, I began writing, and paused periodically to do research. Now, for the third book, I’ve returned to my first method. Each project dictates its own needs. Your first book had personal influences, wherein your family provided some context, right? Are there any similar familial influences in The Ever After of Ashwin Rao? My first novel was inspired by several threads in my family history. The Ever After of Ashwin Rao is equally personal, if very different, since it deals with an atrocity that shaped my race-consciousness (I was a teenager when the bombing happened) and my understanding of contemporary politics in both of my countries of origin, Canada and India. And then, as I have said, while all of my characters are invented, each of them feels very like the people I grew up with. Seth, especially, is like my father, uncles, and close family friends: immigrant men who are a force of generosity, equanimity, affection, in the face of the many good, bad, and deeply puzzling things that life has delivered to them. It became something of a mission, in this book, to explore that territory of grace. In all my writing (except email interviews!) I must make sure that every single sentence is exactly as I intend. It’s why I’m not more prolific. How many revisions do your manuscripts go through? The Ever After of Ashwin Rao went through eleven. I doubt any other will conform to that exact number. Gustave Flaubert, Salman Rushdie, Laurence Sterne, Jorge Luis Borges, Elizabeth Bishop, Virginia Woolf, Ann Marie MacDonald. Stephen Greenblatt, The Swerve; Hans Christian Andersen, The Complete Stories. Which are some of the most worn out books on your bookshelf? Salman Rushdie, Midnight’s Children; Jorge Luis Borges, Ficciones; Shahrnush Parsipur, Women Without Men; Ann Marie MacDonald, Fall on Your Knees. I’m at work on a nonfiction book about the stepmother of an old friend of mine. She was a convicted bank robber and, possibly, a murderer.